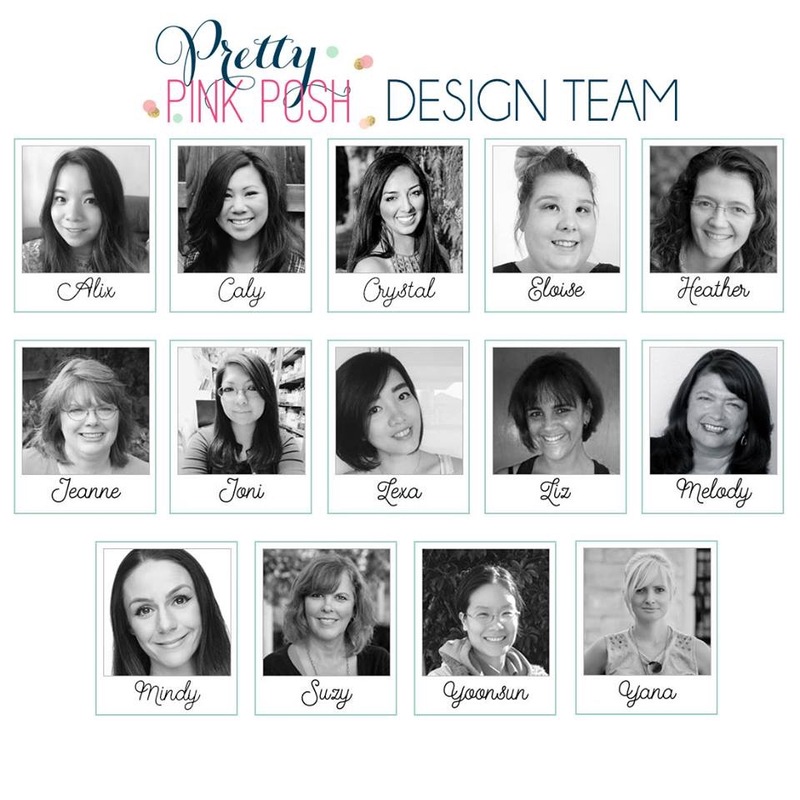 I am super duper excited to announce that I am joining Pretty Pink Posh Design Team for this term (July,2018 to December,2018) . I am always addicted to their design styles and products and I dreamed that I could be one of these talented girls on PPP Design team. My dream came true at this moment! Thank Paulina for choosing me so I could have a stage to perform. And I also thank everyone who is there supporting me and giving me all feedback and encouragements! 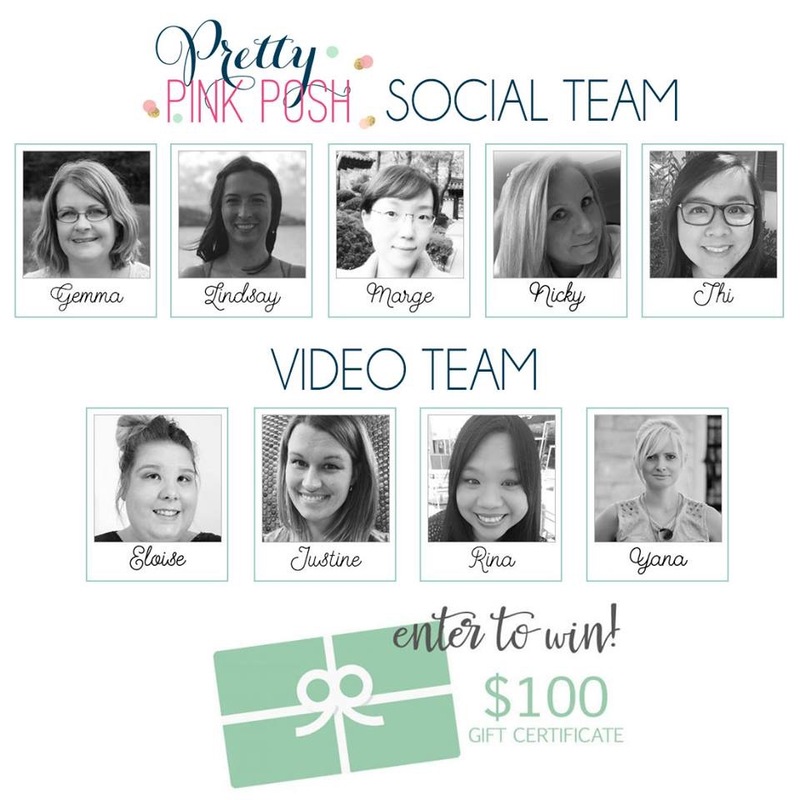 To celebrate this new design team announcement, Pretty Pink Posh is giving away $100 Gift Certificate to our online store if you head to This Blog post. To celebrate this exciting moment, I made this card below to be thankful that I could work with all girls on PPP Design Team! To begin with, I ink blended Tim Holtz distress oxide ink in Lucky Clover, Salty Ocean and Wilted Violet on to a piece of Tim Holtz distress watercolor paper. I sprayed water randomly splattered onto inked background from a spray mist bottle. While I was waiting for the background to air dry. 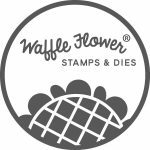 I stamped the sentiment “I thank my lucky stars for a friend like you” from Pretty Pink Posh Thoughtful Greetings Stamp set using black dye ink. 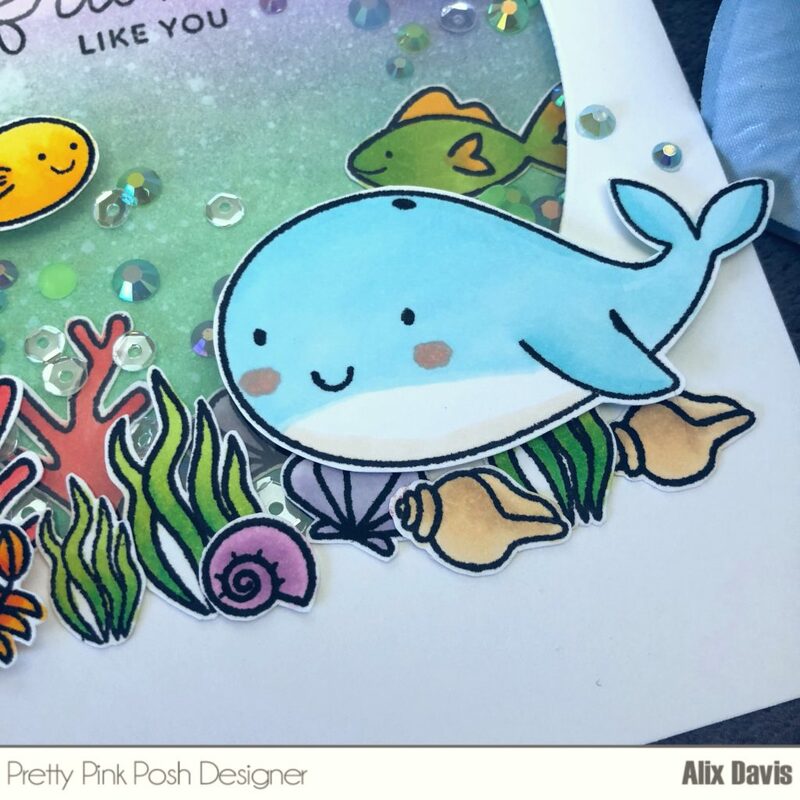 I colored all selected images from Pretty Pink Posh Sea Friends Stamp set using Copic markers. I chose some of them for the background along with a few Pretty Pink Posh Jewels in Pansy Purple. To create the shaker window, I first die cut the frame using Pretty Pink Posh Scallop Oval die out of A2 sized Neenah Solar white cardstock 110lbs as top of the window. Then I glued a piece of acetate paper underneath of it to create see through window. I poured Pretty Pink Posh Jewels in Spring Green, Pansy Purple and Aquamarine with 3mm Sparkling Clear Sequins on the top of background, then I closed it up by attaching the top panel onto it with help of Foam tape. In the end, I attached the rest of images using either Multi Medium Matte or Foam tape around window. 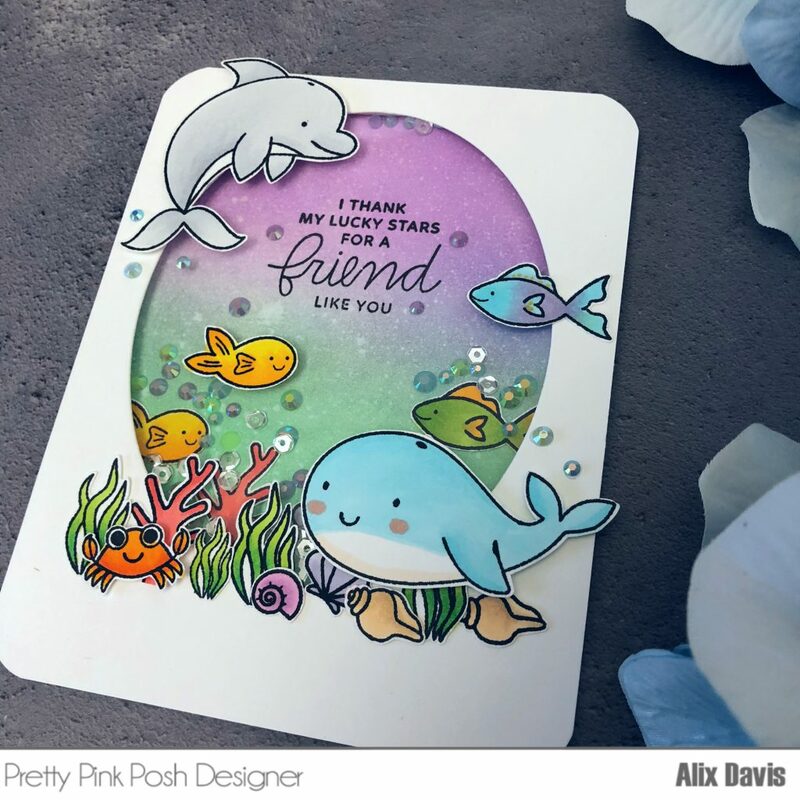 I added a few Pretty Pink Posh Jewels in Sea Glass around Dolphin and Whale tale to create water splashes. 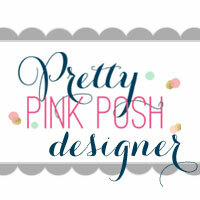 I cannot wait to share more projects with you using Pretty Pink Posh products. Hope to be your inspiration in the future!!! This entry was posted in Cards and tagged Design Team, Distress oxide, Ink blending, jewels, PPP, Pretty Pink Posh, shaker card. Welcome to the team! Your card is so adorable!